Just came across a MSM in my Neverending search for a Miata. It's more money than I want to spend but it's a really good price for this car. 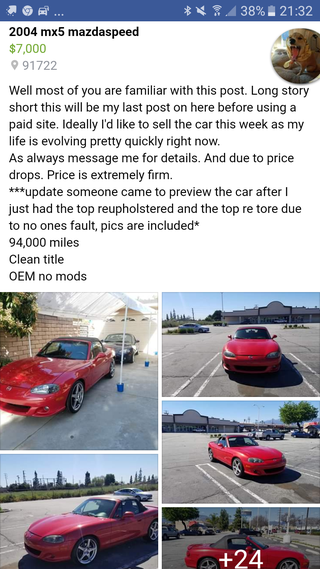 Low mileage, super clean, and I mean it's a MSM so that is pretty sweet. Might not be the best track car but gotta take the opportunities when they come. I'm gonna at least go look at it and think about getting a PPI if I get serious. I worry about overheating concerns with using it as a track car and just complicated break downs due to turbo stuff. If I'm gonna spend money, might as well get something special.